An article on why we should hold to the Confession as a unifying principle between churches. A prominent and distinctive feature of the present age, is a desire for association. Throughout the entire community there is a strong felt sense of the necessity of co-operation in order to secure any important and desirable object. The religious feelings of all Christian denominations have been awakened to the efficiency and success of united efforts in the cause of the Redeemer; and a demand has been put forth for a visible union of all the branches of the Church of Christ with an earnestness and zeal hitherto unknown. And, although we cannot approve of most of the plans pursued, and means employed to effect visible unity in the Church of God, yet we cannot but sympathize, to a considerable extent, with this increasing desire for a closer affiliation of Christians of different names than has heretofore existed. The Church is, by her divine constitution one, and to effect and preserve this unity among the members of his mystical body, is a principle design of the death and intercession of her exalted Head, and of the gift of his Spirit. The present divided state of the Church is her sin, her weakness, and her reproach. It is the work of the enemy, and it serves to strengthen and perpetuate the kingdom of darkness. Divisions among Christians are the source of innumerable evils among themselves, and they form an insuperable barrier to the spread of the gospel and the conversion of the world to God. The union of Christians upon a scriptural basis would stop the mouth of infidelity, infuse life and efficiency into all their evangelical labors, and render triumphant the progress of the gospel among the nations. This ecclesiastical union, in order to produce these desirable results, must be of the right kind—it must be founded on truth and love. To unite upon any other ground would be to daub the house of God with untempered mortar, to heal the hurt of the daughter of Zion slightly, and must eventually increase the evils which it is intended to remove. And, there is something so lovely and attractive in beholding the brethren dwelling together in unity—something so congenial to every pious mind in the anticipation of union among the followers of Jesus Christ, that good men are in danger of overlooking or underrating the principles that are proposed, and the means employed, in consummating so desirable an object. The union of the Church, in order to be profitable and permanent, must be based upon scriptural principles: upon no other foundation can the Church withstand rains, winds and floods, to which she is exposed. Then there can be no sacrifice of truth for the sake of external advantages, no compromise between truth and error, no relinquishment of any of those great doctrines which have heretofore constituted the Church’s strength and beauty. The city must be built again upon its old foundations. Among the numerous symbols of divine truth that have been prepared and submitted as the basis of ecclesiastical unity, we regard the Westminster Confession of Faith as incomparably the best, and eminently fitted to unite the household of faith in Christian profession and fellowship. In assigning to this important document the distinguished place which it has heretofore occupied in the Church, and to which its own merits and time-honored character justly entitle it, we are influenced by many considerations, some of which we intend as briefly as possible now to submit to the reader. And as the present dispute is chiefly in relation to those parts of the Confession defining the character and duties of the civil magistrate about religion, our remarks shall be mostly confined to that subject. 1. This very able and clear digest of divine truth was prepared professedly, as a bond of union and uniformity in religion, and it is singularly fitted to answer that end. The time of its preparation was the brightest day in the history of the Church, and the happy results of its adoption will be enjoyed by distant generations. It was signally owned of God as a means of uniting the friends of Zion,—defeating their enemies and advancing a genuine work of reformation. Under its influence, strife and discord in the Church melted away, men of formerly different views and alienated in affection, were joined in a holy brotherhood, and the Spirit descended from on high in copious and refreshing showers upon the heritage of God. Is not a document which has been the grand means of accomplishing so great a reformation, still worthy of being employed as an instrument already approved of Heaven for healing the breaches of Zion, and gathering the outcasts of Israel into one? Should not those who reject this bond of the Church’s unity, present to its friends another having equal claims to their regard, and accompanied with similar tokens of divine approval, before they require them to abandon it? 2. The doctrine of the Westminster Confession on the subject of civil magistracy (which is the one most pervasively attacked and in dispute among so-called Presbyterians) is agreeable unto and founded upon the Scriptures. That the doctrine of the Confession in relation to civil magistrates’ power circa sacra [i.e. touching or relating to the church] is agreeable to the Bible, is not denied even by those who oppose the Confession on that subject. That the pious kings of Israel and Judah, exercised the power performed the duties assigned in the Westminster Confession to the Christian magistrate, is admitted by all. That it is directly promised as a distinguished blessing to the Church in New Testament times [cf. Isa. 49:23; 60:12; etc. ], that civil rulers shall perform these duties, is not to be denied—and that this power circa sacra is contained in the office of the Christian magistrate as God’s minister for good to the people, has been often clearly demonstrated. The question is not what the Bible teaches on the subject of the magistrate’s power about religion; but whether its acknowledged doctrines shall be received by the Church. 3. True piety has flourished most in connection with the Confession. The doctrines of the Confession for which we plead are scriptural; they are of great practical utility, and have an important bearing upon the sanctification of the heart and life. The history of the Church illustrates and confirms the truth of this remark. Never has true godliness shown more brightly than in the character of those men of different ages and countries who believed and most earnestly contended for the exercise of civil power for the good of the Church. 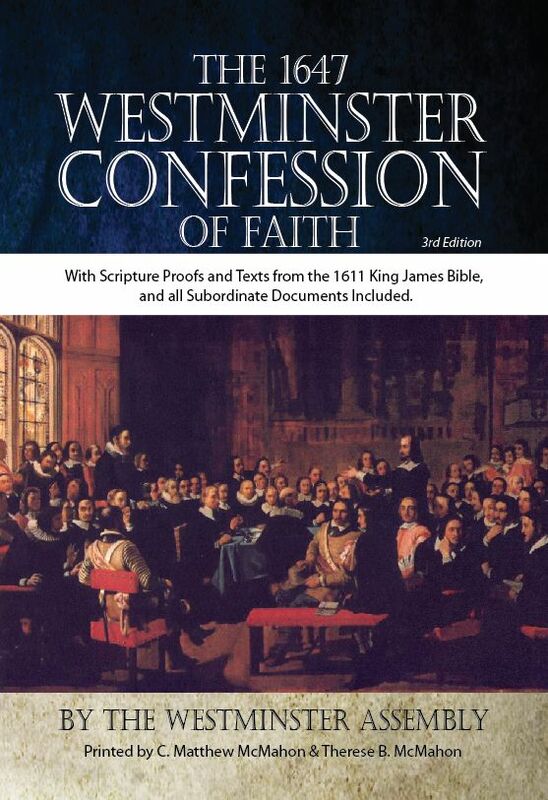 The Westminster Assembly who prepared the Confession, and who so ably stated and earnestly contended for this principle, were the most learned and godly men of their own or any age. The Church of Scotland in her purest and brightest days adopted the Confession, and most zealously maintained the obligation of civil rulers to support true religion. The martyrs of Jesus, in the persecutions of the 17th century, who sealed this principle with their blood, were men of whom the world was not worthy. Where, in the entire history of the Church, are to be found so remarkable instances of the purity and power of religion among those who cherish the most ardent attachment to the important truth that kings should be “nursing fathers” to the Church? Have those Churches that have expunged from the Confession the dreaded principle of civil obedience to the law of God, been improved by the change? What increase to vital godliness has been made by blotting out from their standards those principles for which their more godly ancestors so faithfully contended? 4 To expunge from the Confession the doctrine of the magistrate’s power about the church at the present time, would impugn the character of the best men of the present and past ages. One of the prin­cipal arguments used in favor of abandoning this part of the Church’s faith, is, that the men who believed and taught the principle that civil rulers should encourage and support true religion, were opposed to the liberty of conscience and held perse­cuting principles. Those who make this wholesale charge, calculate too much upon their own impor­tance, and the ignorance and credulity of the public. What! Zwingli, Knox, Calvin, ignorant of rights of conscience! Henderson, Rutherford, Gillespie, did not understand the independence of the Church of civil power! The Westminster divines, bloody men! The Church of Scotland in her purest times held persecuting principles! The martyrs of Jesus, who fought and fell in defending the independence of the Church, and the freedom of conscience—in favor of Erastian supremacy and spiritual thralldom!! All the people of God in different lands and in past and present times, who believe the Westminster Confes­sion—are enemies to civil and religious liberty!!! Did the children of the father of lies ever invent a more base, foul and loathsome calumny? Was ever slander more groundless and wicked? Now to expunge from the Confession the doctrine in question, would be to admit as true these false and most cruel reproaches. It would be a public attempt to consign to infamy the character of the great and the good of the present and past ages. Modem liberality asks too much. 5. We are not willing to expunge these parts of the Confession, because they contain the strongest safeguards of the religion of Christ in a nation, and furnish the most powerful securities for the exercise of civil and religious liberty. A view of the past and the present condition of the nations of Europe, fur­nishes an illustration of this remark. Just in propor­tion as the Church has been cared for and supported by Christian rulers in these lands, she exists in purity and influence at the present time [mid-19th century]. Switzerland and Holland, but especially Scotland, have been comparatively bright spots on the map of Christendom. And why —perhaps to no one cause is the moral cultivation of these lands more indebted, than to the wise and wholesome laws made in sup­port of the true religion. 7. We are opposed to the alteration of the Con­fession of Faith, and to the relinquishment of its principles on the subject of civil government, be­cause these are necessary to successful resistance to the encroachments of Popery. The fact is, the duties assigned in the Confession to the Christian magis­trate, are so many wise provisions, which the Re­formers in different countries found suitable and necessary in the light of scripture and experience, to make, in defense of the true religion against the assaults of the man of sin. Were the Church to lay aside her profession of these principles now, she would in so doing throw down the bulwarks which the enlightened and sanctified wisdom of ages have erected in defense of her dearest rights and interests; and invite the enemy to make further and greater aggressions upon the principles of her members and the rights of men. This argument is of peculiar force at the present time, when viewed in connection with the increasing numbers and gigantic efforts of pa­pists to extend over this entire continent their system of arbitrary power and ghastly dominion. Already they have proclaimed war against the Bible as a schoolbook, and demand the repeal of all laws made in favor of Christian schools and religious educa­tion. They peremptorily call for the removal of all those legal enactments that stand in the way of the progress and extension of their system of darkness and blood. [Let the reader note well that the situ­ation we face today, in this nation, is the logical outgrowth of religious pluralism. The way was paved by papists, in the 19th century. It is the height of stupidity and arrogance against the word of God to join hands with those very enemies of God (cf. Isa. 31:1) at whose feet we must lay the 20th century religious and moral debacle. Judgment must begin first at the house of God; let the churches set them­selves in order before they attempt to set the rest of society in order. ED]. And how shall these alarming and powerful encroachments be resisted and re­pelled? Only by occupying the same ground and using the same weapons, which in better days were employed, when faithful soldiers and distinguished veterans in the war of the Lamb, met and turned to flight the armies of the aliens. And if we do not greatly mistake the signs of the times, the period is not far distant, when true Protestants of every name will see the propriety and necessity of adopting the same principles on which the Reformers acted, when they so honorably and successfully contended with and defeated the trained bands of Rome [not join with them —ecclesiastically or politically!]. To. abandon these principles now, would be as unwise as it would be sinful. It would be laying down our arms at the beginning of the battle. 8. These principles have been sealed with the blood of the martyrs of Jesus. Their defense and maintenance cost the Church of God too much to abandon them now. In addition to their own inherent value and practical usefulness, they are recom­mended to our affections by the most pleasing remi­niscences and endearing associations. If the value of republican institutions is enhanced by the blood of revolutionary patriots,—how much more pre­cious and sacred these principles should be regarded, in defense of which, both patriots and martyrs shed their blood. And history, so warm on minor themes. swearing these covenants with their hands lifted up to the most high God, and in His great name, sol­emnly pledged themselves to God, and to one an­other to maintain this great principle of covenanted Reformation. These covenants were entered into in the name of their posterity to the latest generations, and their obligations have descended upon us in all the penitude [i.e. call to repentance] of their original power. And these obligations have been renewed by many of those who are now attempting to mutilate the Confession. At their own baptism, and on receiv­ing it for their children, at the Lord’s table, and in the ordination of ministers, elders, and deacons, the whole doctrines of the Westminster Confession of Faith have been distinctly recognized, acknow­ledged and sworn to. [At first, this may not appear to apply to most American Presbyterians. They may plead that they were brought in under a Confession already revised. If this is true, it would be profitable to know, by what authority this “revision” was carried out? If the doctrines under review are Bibli­cal (and they are! ), then where did anyone derive the power of ministerial “destruction?” Certainly, it is not from the Lord; cf. 2 Cor. 10:8; 13:10. If some persons without authority seek to entice us away from keeping the law, we are under no duty to obey them; nay, we must positively disobey them and obey God! (Cf. Acts 5:29). The Constitution of the Presbyterian churches descended from the Church of Scotland is the Westminster Standards, etc. ; and all who have entered that fellowship are bound to abide by it. The so-called “revision” is an illusion. No one has a right to backslide; but all have a duty to reform. Ignorance is no excuse (cf. Matt. 15:14). ED.] Never were any people more solemnly pledged. Never was any document approved and ratified by so many solemn sanctions. Now to cast aside the Confession, or any part of it, after all this, would be to disregard all that is solemn in our dealings with God and with men. It would expose Christians to the charge of mocking God and deceiving one another. It would inflict a deep wound upon the hearts of all God’s covenant-keeping people, and open the mouths of infidels to speak reproachfully. And after having broken all these solemn vows, and cut loose from all these holy obligations, what respect or confidence could the Church, so united, expect from an observing com­munity? Nor would it be any justification of such conduct to say, that those parts of the Confession expunged from the public profession of the Church, were small and trivial; for, to violate so many solemn engagements for a small thing, would be an aggra­vation of the evil. And, however small a matter it may appear in the eyes of some men, whether Jesus Christ or the devil should govern the nations—yet, if the Church is unjust in the least, she will be considered unjust also in much. 11. We are inclined to maintain the Westminster Confession unimpaired—because it is the only basis on which the Churches can unite. Union can be effected upon no other ground. A little observation will make this appear evident. All the divisions that have taken place in the Presbyterian Church in Scot­land, and in the United States since the Westminster Confession was formed, have arisen from a neglect of, or opposition to its principles. Whenever the Church or any part of it endeavored to occupy different ground, division has been the consequence. This is the rock on which the Church has been broken and split into so many fragments. Here is the cause of division and strife in the Presbyterian fam­ily. In Scotland, a disregard of the doctrines of the Confession on the subject of the magistrate’s power circa sacra separated the Revolution Church from the faithful Covenanters who continued to maintain this principle [and we still do! ; ED.]. This corrupt Erastian establishment afterwards resulted in the separation of two bodies of Seceders, and lately the Free Church [to which we might add: the Free Pres­byterians and the Associated Pres.]. These Seceders after their secession, were again divided into four different sects, on the principle of the magistrate’s power about religion. In this country about the end of the last century [i.e. 18th], an attempt was made to unite two denominations, the Covenanters and Seceders, by expunging this doctrine from the Con­fession; and the attempt resulted in the formation of two new sects—the Associate Reformed, and the Dissenting Reformed [now extinct]. [This is two, besides the remnants of the original bodies—union turned two into four!]. Thus, every attempt to erase this great principle of civil obedience to the law of God from this venerable symbol of the Church of our Fathers, has produced evil, only evil and that continually. How preposterous then to think of unit­ing the Church by expunging this part [or any other part or whole!] of the Confession, since every at­tempt to do so, has resulted only in dividing her into so many sects! Is it not time that the friends of union would consider that the Church cannot be united in this way? And does it not deserve the serious and prayerful consideration of honest minded men in various sections of the Church, whether a return to the good old ways in which our fathers walked, and in which they enjoyed peace and unity and so many tokens of the divine presence, may not be the grand means of uniting in the bonds of a holy and delightful brotherhood these separated children? Experience and the history of two hundred years, most clearly prove that the Church cannot be united by removing her ancient landmarks, and throwing down her bul­warks. There are in different lands a number of God-fearing men, who will never consent to such a change—and, as light is diffused and the designs of divine providence developed, their numbers will increase and their influence extend. These, rather than relinquish or surrender any of these great prin­ciples, which have heretofore constituted the Church’s strength and beauty, will continue to dwell alone—mourning over the stones and rubbish of the beautiful house where their fathers praised God; and wait the dawn of the millennial day, when their principles will be acknowledged, and their conduct and motives approved. 12. The Westminster Standards should not be mutilated, because the principles now opposed will prevail over all opposition, and constitute an impor­tant and conspicuous part of the strength, beauty and glory of the Church in millennial times. Both divine prophecy and promise assure us, that in this happy period civil protection and support will be an eminent blessing of the Church: and every such promise implies a divine command; cf. Is. 49:6, and Acts 13:47. Civil magistrates will then consider it their honor as well as their duty, to defend and cherish the spouse of Jesus Christ, and to restrain and punish her enemies. Here there can be no dispute. The spirit speaketh expressly:—”Kings shall be thy nursing fathers and their queens thy nursing moth­ers.” “Kings shall minister unto thee.” “The nations of them which are saved, shall walk in the light of it, and the kings of the earth do bring their glory and honor into it.” Is. 49:23; 60:10; Rev. 21:24. Let all true Christians understand, anticipate, and hold fast the principles of the millennium, and thus hasten its approach. To lay aside any of the Church’s past attainments now, would only serve to alienate her friends, remove to a greater distance the prospect of happy union, and darken the rising dawn of that blessed day, when all kings shall fall down before the exalted Messiah, and all nations shall serve Him. Let then the Westminster Confession, that excellent and incomparable symbol of the Church’s Faith—be maintained in the true spirit of its great scriptural principles. Let its important doctrines be received as a guide in things ecclesiastical and civil—and, according to its original design, let it be admitted as the basis of genuine union and practical reform; let the true lovers of Zion’s unity and peace in the various sections of the Church, laying aside prejudice and party spirit, and forgetting their mu­tual criminations and trials in which they have too long indulged, and humbly and earnestly asking the God of their fathers to guide them, return from their wanderings, and meet on this high and holy ground, and embrace and dwell together in the spirit and bonds of a beloved and lasting brotherhood. Then there will be one fold and one shepherd. And then the Church will appear again as she once did, when standing upon the lofty eminence, fair as the moon, clear as the sun, and terrible as an army with banners.